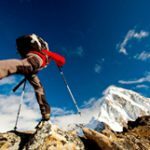 All inclusive mountain wellness retreat, situated in Kananaskis, a hidden gem of the Canadian Rockies. 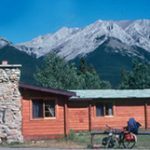 Experience the healing and renewal properties of the Rocky Mountains in beautiful Kananaskis, Alberta. Discover a unique blend of wellness practices featuring instructional drumming by bonfire, yoga and meditation, an outdoor labyrinth, hiking and self practice Shiatsu. 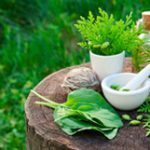 Included in the retreat package is; accommodation, scrumptious healthy meals and snacks, and the ever popular Medicine form the Earth workshop. This retreat is perfect for singles and couples alike. Medicine from the Earth workshop: sip on some Rocky Mountain tea, while embarking on an herbal medicine journey which will take you through a nature walk, exploring some of the many native plants traditionally used as medicine and food. Then return to the cabin to concoct your own herbal products to bring home with you. 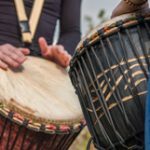 Discover the remarkable healing properties of therapeutic drumming, all while taking in the crackling sound and earthly smell of a bonfire infused with fresh mountain air. This drumming session will be led by a certified drumming instructor. Venture into the rustic mountain wilderness by foot. Trek up to a mountain peak, or simply enjoy a low altitude hike to a scenic waterfall. Which ever one you choose, you will be pleasantly rejuvenated. Don’t be fooled by the small and rustic appearance of this building! The cozy interior of this log cabin is massive, and features cedarwood logs, shared indoor bathrooms with hot running water, electricity, a wood burning fireplace and a multitude of windows for perfect wildlife viewing. Accommodation options include shared private rooms and dorms. Register Today by clicking below!